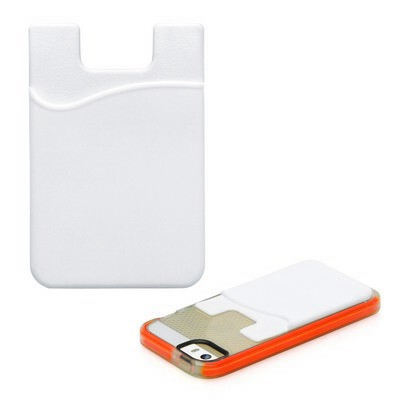 Description: This clever and innovative gift idea is sure to impress the owner of a smartphone with its practicality. Quality 3M double sided tape will stick the holder firmly onto the back of the phone for convenient carrying of credit card or driver`s licence, and the front can be printed with your client`s promotional logo to create that perfect corporate gift. Colours: White. Materials: Silicone. Decoration Method: Pad Print. Price includes : Printed - 1 col, 1 pos. Setup is included.